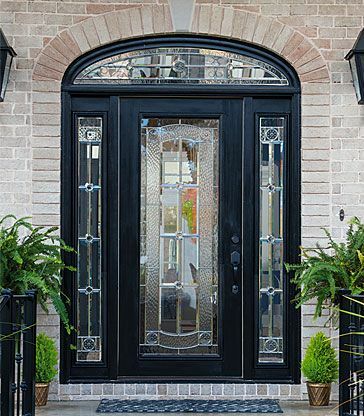 Elegant vintage-style medallions anchor the four corners of the Elan doorglass. 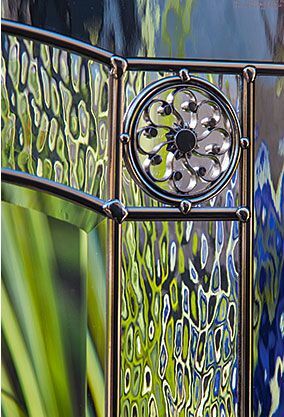 Its geometric pattern is created with black chrome finish through clear and gray glass and accented with bevels. The transparency of the glass streams natural light into your entryway, giving your home the flair and spirit for which Elan is named. This Classic design offers a low privacy level..